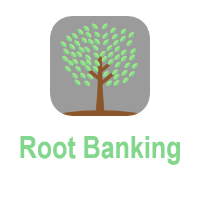 Root Banking, a San Francisco-based start-up from industry veteran Matt Krogstad, has launched with its plan for Starbucks-level channel integration, reports Jim Bruene at Finovate (FinTech Futures’ sister company). Krogstad was at mobile banking firm M-Com (acquired by Fiserv in 2011). Fast forward six years, and after stints at Bank of the West and First Republic, he is back in the fintech start-up world with a new service. Root’s service connects mobile customers to their branch to order ahead. For example, last Friday I needed a money order to pay a local tax bill when my ACH was inadvertently returned. This was double frustrating. First, my bank fumbles the electronic transaction, then I had to make a trip to the branch and wait in line, then wait at the teller station while they printed up a money order. Had I been able to order it in advance, and just picked it up, the whole thing would have been less unpleasant. The other primary use cast for Root is mobile delivery. Imagine if my bank would have dropped the money order off at my home (or better yet, mailed it to the City of Seattle treasurer). I probably would have opted to avoid a delivery fee, but it would be nice to have the option. The start-up hopes to integrate their services into the FI’s existing mobile app. But Root will make a standalone app available if necessary. Several banks are piloting the service and are not yet integrating the requests into branch systems, instead simply delivering the requests through secure digital channels. Bottom line: To me, the order ahead use case is most interesting. Most times I’ve needed to visit the branch (usually for small business matters), there is paperwork that could have been uploaded in advance to reduce my time at the branch by an order of magnitude. Not only is that good for customers, it potentially drives costs out of the system at the branch level. A win-win.